This is first and second episodes of Siege in Fog Chinese Drama, Qin Sang asks Yi Liankai to save her best friend Deng Yulin’s cousin Pan Jianchi, after he defeated Murong Feng. But she doesn’t know the person she want to save is her first love Li Wangping. Fan Zhiheng orders his officer to kill Mu Rong family’s emissary once he drops his cup, so that he can let the army retreat and solve sesame mountain’s problem, but someone hears what he said. Qin Sang wants to go to sesame mountain saving his husband, Fan Zhiheng lets her go home. but she claims it’s her housework. He has to keep her in the train. A person knocks the door of Fan Zhiheng’s box and introduces himself as Mu Rong family’s emissary, Fan Zhiheng thinks he is the person he waits. But his officer found out he was dead in the box then. Qin Sang visits her best friend Deng Yulin and asks her to help her enter sesame mountain, Deng Yulin thinks she shouldn’t sacrifice herself for Yi Liankai. Qin Sang tells Deng Yulin that her mother wanted her to marry Yi Liankai so that her father could get power. Deng Yulin thinks she gave up herself since she was abandoned, but Qin Sang thinks the benefit is more important than her life currently. Murong Feng holds them back after knowing they want to see Yi Liankai and reveals Yi Liankai sent him a sleep. Qin Sang tells Murong Feng that she will try her best to flee even if he locks her up. Yi Liankai is playing golf when Qin Sang arrives sesame mountain, but he doesn’t believe it after she tells her husband his teacher is murdered. Yao Jingren suspects why Murong Feng releases her as well, Qin Sang has to reveals Fan Zhiheng is killed in the way to save Yi Liankai. Yi Lianyi asks his father if he should save his younger brother Yi Liankai, Yi Jipei thinks that’s Yi Liankai’s business since he only knows play. Yi Lianshen decides to go to sesame mountain after his officer told him that Fan Zhiheng was dead. Yi Jipei yells at his butler why he prepared so many dishes and asks him if he notices Mr. Fan isn’t here, and orders not to prepare meat in the table from now on. The butler has to obeys his order. Qin Sang tells Deng Yulin that Yi Lianshen’s army is gong to move to sesame mountain, Deng Yulian is happy and thinks they will be saved, but Qin Sang thinks Murong Feng will kidnap them first before Yi Lianshen arrives. Deng Yulin lets Qing Sang helps her to save her older brother Pan Jianchi if they are saved. 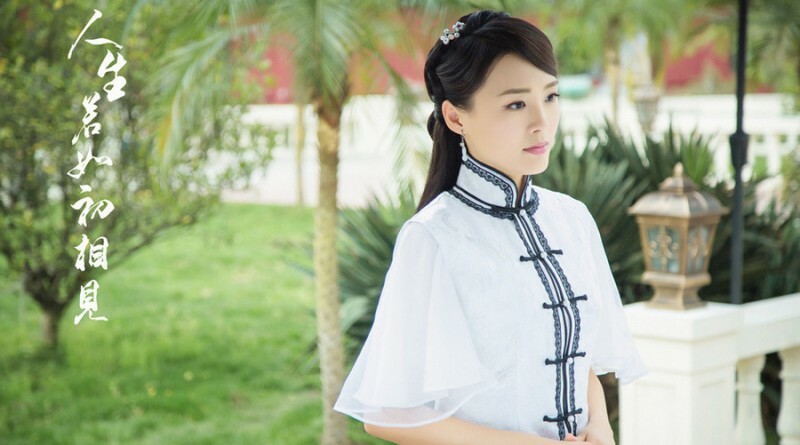 Qin Sang asks her husband why he pretends to play since he knew his teacher was dead, Yi Liankai thinks she is stupid and reveals general Yao is the enemy. He hugs her from her back when she hears boom of guns, she lets him release her, but he orders her to face him. Yi Liankai finds out Fan Zhiheng lets him fight for power after seeing the message which his teacher left to him, Qin Sang worries about they will be killed in the sesame mountain, Yi Liankai tells her that her life belongs to him and gives her a bottle of perfume. Yi Liankai orders his soldier to burn sesame mountain, the guests in his house are scared and are afraid of death, Murong Feng thinks Yi Liankai is insane and worries the guests in sesame mountain, then he retreats with his army. Qin Sang asks his husband why he pretends to be a idiot since he has the talent, Yi Liankai tells her that he was just afraid of dying so that he saved the guests. Then Qin Sang lets her husband save a person for her. Deng Yulin asks Qin Sang if she asked her husband to save Pan Jianchi, Qin Sang reveals he didn’t give her a affirmative answer. Deng Yulin thinks Qin Sang is changed since the flame case and wants to beg Yi Liankai in person. General Yao kidnaps Yi Liankai with his soldier and invites him to have a meet with general Li in Cheng Zhou. Qin Sang blames general Yao for his betraying since his husband saved him from Murong Feng, Yi Liankai yells at Qin Sang and thinks it’s male’s business. General Yao offers to have a golf contest, but adjutant Song shoots the golf and takes Yi Liankai away. Yi Liankai asks Gao Shaoxuan to save his friend Pan Jianchi and reveals he cannot do it in person as he comes from Tian Meng party which his father hates most. Qin Sang asks her husband why he takes out the scroll since he isn’t going to achieve his teacher’s wish, Yi Liankai tells her that he doesn’t want to hurt the relation between him and his brother, and is happy she used the perfume he gave her. Gao Shaoxuan releases Pan Jianchi from prison, Pan Jianchi wants to visit Yi Liankai after knowing Yi Liankai saved him. Yi Jipei lets his driver drive his car around street and hopes the murderer to appear because he believes the murderer’s next goal is him after he killed Mr. Fan. Pan Jianchi thanks to Yi Liankai’s saving, but Yi Liankai asks him why he visits him instead of his cousin Deng Yulin and points him with pistol when Pan Jianchi thinks Yi Liankai is going to rule China. Just then Qin Sang appears and is shocked when seeing Pan Jianchi. Yi Liankai hugs Qin Sang from her back and introduces her as his wife and gives the pistol to him, he asks Pan Jianchi to go out to hunt next day when Pan Jianchi is going to leave. Deng Yulin breaks Pan Jianchi’s room and calls him Li Wangping, warning him not to hurt Qin Sang and Yi Liankai, otherwise she will discloses his real face. Qin Sang recalls she and Li Wangping’s past and lock herself in the bathroom, Yi Liankai breaks into the bathroom and yells at her that she shouldn’t die in his home.